Join us for a base ball clinic and Quakes games on June 11th. The fun starts with a players clinic at 9:30 followed by a Quakes game at 12:30. Tickets are only $11!!!!! Please see your team parent for more details. 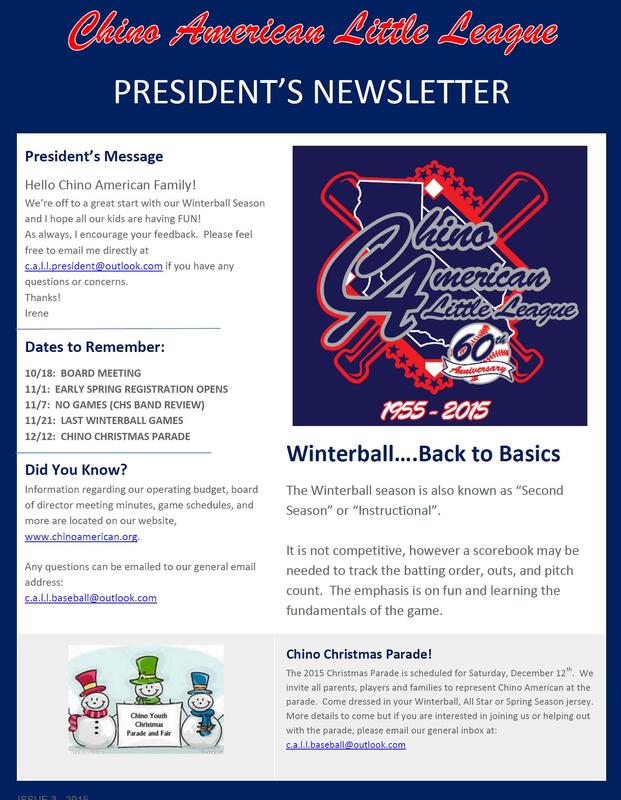 Incorporated in 1955, Chino American Little League was founded to provide an opportunity for all of our community’s children to participate and learn the game of baseball in a fun, safe and engaging environment. Our goal is to encourage the importance of sportsmanship and friendly competition while instilling discipline, teamwork and lifelong skills.